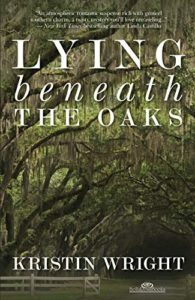 Today my debut adult romantic suspense book, LYING BENEATH THE OAKS, comes out. It’s the story of Molly, who wakes up in Vegas married to a stranger. She follows her new husband Cooper home to coastal South Carolina to get the annulment, and finds that her unusual past equips her to spot the family secrets Cooper would never want to know. If she tells him, she might lose him—or save both their lives. I’ll be totally honest. There were a lot of days, weeks, months, YEARS, when I thought it would never happen. I started writing seriously in 2013. I queried that first book for a year with no takers before writing two more in quick succession. Eventually, I got my agent with the second book in February of 2015. I wrote my post about “The Call” and secretly planned my imminent book launch party. I already had a third manuscript ready to go. I was undeniable and ON MY WAY. Within days after I went on sub, the rejections started to roll in. My writing was beautiful, they said. The characters were well-developed. The dialogue was snappy. The concepts were intriguing. Most of the rejections were downright mushy for a paragraph or two, until I reached the “unfortunately” that heralded the thing they all tended to say: We can’t figure out where to shelve this. We don’t know how to market this. We don’t have a vision for a book in this space. My genre is fuzzy. In theory, I write women’s fiction and young adult books, always with romance and kissing (at least). Easy, right? Nope. My young adult books venture a little outside straightforward romance and into topical. My women’s fiction books veer sharply into domestic suspense, mystery, and romance, and sometimes all three, like LYING BENEATH THE OAKS. They don’t go neatly into a box. Publishers really prefer those boxes, I found out. I kept writing and my agent, the brilliant Sarah Younger, kept submitting my manuscripts to editors. The rejections kept rolling in — almost all with the same complaints. In all, we submitted six different manuscripts to editors at publishing houses large and small. I came close, a number of times. Several editors advised they’d asked other editors to read, before they got to the “unfortunately.” Twice an editor offered to edit the manuscript and allow me to resubmit the revised version in the hopes it would pass a marketing team the second time. It never worked. At least three times I was told my manuscript had made it all the way to the Super Important Person Called The Publisher at A Big 5 Publishing House. Nothing. I thought about quitting. I made plans to quit. I’d been happy before I started writing. Every time I got serious about walking away, my husband and my friends—ones I met on this journey—begged me to keep trying a little longer. Sarah told me she would never give up on me. I kept writing. I kept reading rejections — over a hundred and fifty from agents, and then over seventy-five from editors, over a period of three years of constant dashed hope. It’s hard to believe in yourself when the evidence is pointing the wrong direction. I knew I could write. I knew I had the ability to put sentences together, to create memorable characters, to place it all in a world that felt real. All my life I’d been a voracious reader, and I started off with the idea that publishing a book was like bringing a small contribution to the feast I’d been gorging on for so many years. 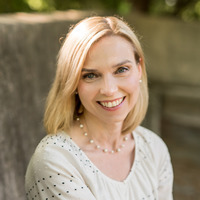 In January 2018, Sarah sent my sixth manuscript (out of eight in total I’d written at that point) to Bella Rosa Books, and within a day, the editor contacted Sarah to let her know more about their publishing model. They might be interested. It would take two more months to hear the words I’d been waiting for, but I heard them, at last. They were willing to take a chance on my book. LYING BENEATH THE OAKS bleeds over the genre boundaries as much or even more than any of my other manuscripts, but BR saw a market for a story like that. Early reviews available on Goodreads and NetGalley bear this out—people comment regularly on how much they enjoy that blend. Three years on virtually continuous sub. Two failed Big 5 R&Rs. Over 75 (I stopped counting) editor rejections. One of the things I wanted even more than I wanted a book deal was to show my children that perseverance is worth it. That not quitting isn’t foolish: it is rewarded. Hang in there. Reach out to me for support. I’ve been there. I’ve been there for a long, long time. I know the quiet desperation that makes you dream of closing that laptop cover for the last time. family, the more she wonders if she and Cooper might have a real chance together. She longs to tell him her secret even though she knows the truth might get her kicked straight out into the nearby swamp. While she wavers, Molly’s unusual life experiences allow her to spot the skeletons in the Middleton family closet: ones Cooper’s never suspected, ones that are hidden in plain sight. What Molly discovers will shake Cooper’s foundations—and could threaten both their lives. a native of the Detroit area, a graduate of the University of Michigan Law School and has practiced law in many fields, including big firm litigation, criminal defense, personal injury, local government, and divorce and custody. She writes before work and behind the wheel of her car in the parking lots of many youth sport practices. Lying Beneath the Oaks is her first novel.